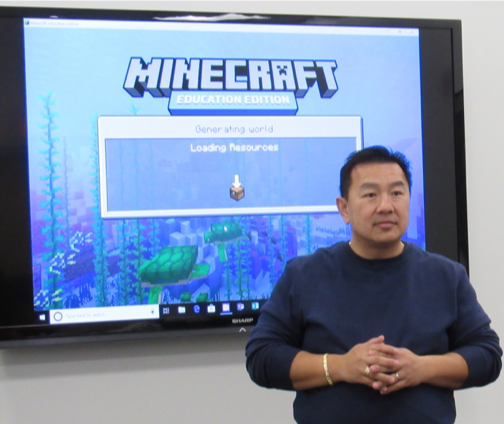 The education version of Minecraft lets students participate in and build an open-world game to promote creativity, collaboration, problem-solving and coding skills. The Computer Science Teachers Association (CSTA) is a membership organization that supports and promotes the teaching of computer science. CSTA’s mission is to empower, engage and advocate for K-12 CS teachers worldwide. Membership consists of more than 25,000 members from more than 145 countries. The Western Massachusetts chapter of the CSTA is run by CS teachers throughout the region and organizes workshops and events to support computer science teachers. 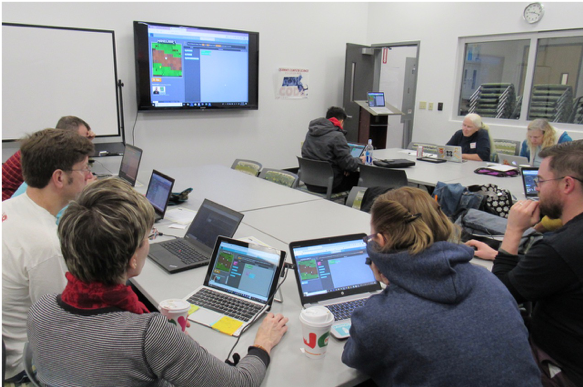 In addition to this workshop, this year CSTA-WMass also presented a Scratch Meetup, a workshop on teaching with micro:bit, a panel discussion on College Computing Programs in the Age of CS for All, and helped teachers prepare for CS Education Week in December. A Code.org CS Fundamentals for Elementary School Teachers was also held on January 12. Planning is underway for a spring meeting on the new Massachusetts Digital Literacy and Computer Science standards and opportunities for licensure featuring representatives from the Department of Education. Planning meetings are on the third Thursdays of most months at the MGHPCC in Holyoke and online. All are welcome.